Chevy Chase Day 2010 | Critical End! Yes, it’s that time of year again. Your pals at Critical End! 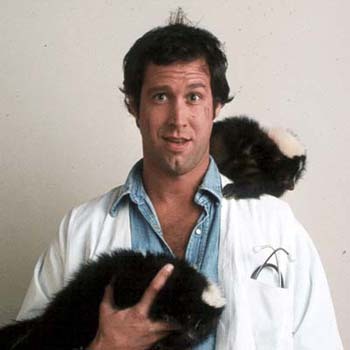 would like to wish the happiest of birthdays to our dear friend Dr. Chevy Chase (he’s a doctor of being awesome). Today he turns 67, folks. 67! Can you believe that?! It seems like only yesterday that he was reminding Danny to take drugs, bribing Frank Oz to let him cheat on an exam, and making a movie with either Benji or Goldie Hawn. So, what has Chevy learned in those 67 years? Only how to steal our hearts! Oh, and some practical stuff too…practically funny stuff that is! Okay, I’ll stop now and let Chevy speak for himself in this wonderful Esquire article from last month, Chevy Chase: What I’ve Learned. This entry was posted on Friday, October 8th, 2010 at 5:30 amand is filed under . You can follow any responses to this entry through the RSS 2.0 feed. Both comments and pings are currently closed. Happy Happy Birthday indeed, Chevy!